Rich and creamy corn casserole is now available in a gluten-free version, thanks to gluten-free flour. 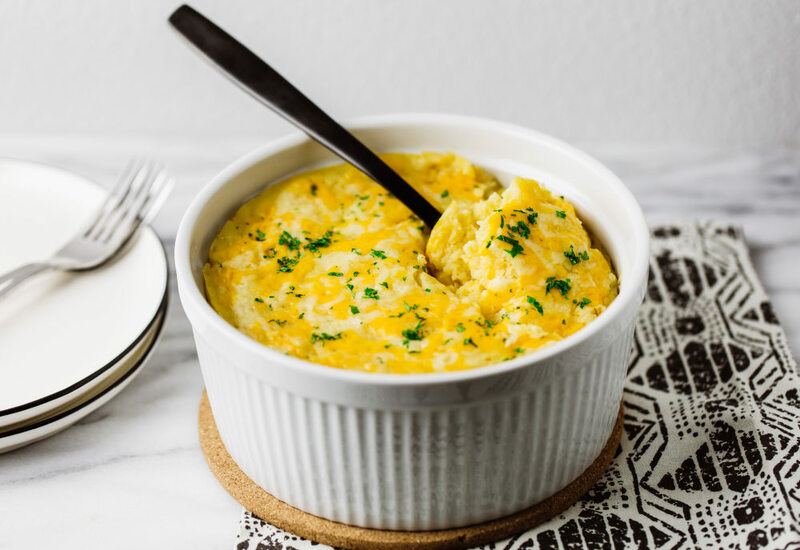 Gluten-free flour, cornmeal, corn, and creamed corn are cooked together in the pressure cooker with sour cream, butter, and cheese creating a decadent dish perfect as a side dish to roasted chicken or for a dish to serve at brunch. Combine gluten-free flour, cornmeal, sugar, baking powder, and salt in a bowl; stir in sour cream, butter, cream-style corn, and corn until batter is well combined. Pour batter into greased round pan and cover with foil. Add trivet to inner steel pot of pressure cooker and add 2 cups water. Carefully place round pan with batter on trivet. Lock pressure cooker lid in place and set steam vent to Sealing. Select Pressure Cook (Manual) and cook for 45 minutes on High Pressure. Let pressure release naturally for 5 minutes, then set steam vent handle to Venting to quick-release remaining pressure. Carefully remove pan from pressure cooker. Remove foil and top casserole with Colby-Jack cheese. Return to pan to pressure cooker. Lock pressure cooker lid in place and set steam vent to Sealing. Select Pressure Cook (Manual) and cook for 5 minutes on High Pressure or until cheese is melted. Set steam vent handle to Venting to quick-release pressure. Try different varieties of cheese in place of the Colby-Jack, such as Gruyère cheese or freshly grated Parmesan cheese. You can use frozen corn in place of the canned corn, but don't substitute anything for the cream-style corn. Per Serving: 316 calories; 20g fat; 31.0g carbohydrates; 6g protein; 54mg cholesterol; 614mg sodium.